Telefónica España CEO Luis Miguel Gilpérez has said that the telco aims to be the biggest global producer of original TV content in Spanish globally and that original TV content – combined with connectivity – will be key to driving the next phase of growth in the pay TV market. Gilpérez’s comments were made as the telecom giant began shooting the first of 20 TV projects at various stages of development – La Peste, a drama set in 16th Century Seville. Telefónica’s Domingo Corral first told TBI of the development slate in April last year. “Our goal is to become the centre of our customer’s digital life,” said Gilpérez this week. “Television, combined with optical-fibre networks and mobile networks are the pillars of our strategy – offering the best TV content included in ‘Fusión’ allows us to integrate in our convergent offer a unique element and provides added value to our network,” said Gilpérez. Addressing the company’s pay TV strategy, Gilpérez said that Spain was still underperforming relative to other countries, even though Telefónica had “revitalised a sluggish market”. He said that there is still room for growth above the current 33% penetration, of which Telefónica accounts for two thirds, with 3.7 million subscribers. Gilpérez said that Telefónica is well-placed to take on new entrants such as Netflix because it can offer connectivity, additional functionality and local presence. “We are not a vertical catalogue of films and series. We are a player combining the best content – 16,000 titles altogether and more than 660 series – and the best connectivity, the best technical functionalities and the finest client knowledge – four features no competitor can meet,” he said. This effort will be sustained with an investment of €70 million [US$75 million] this year in original series, said Gilpérez. 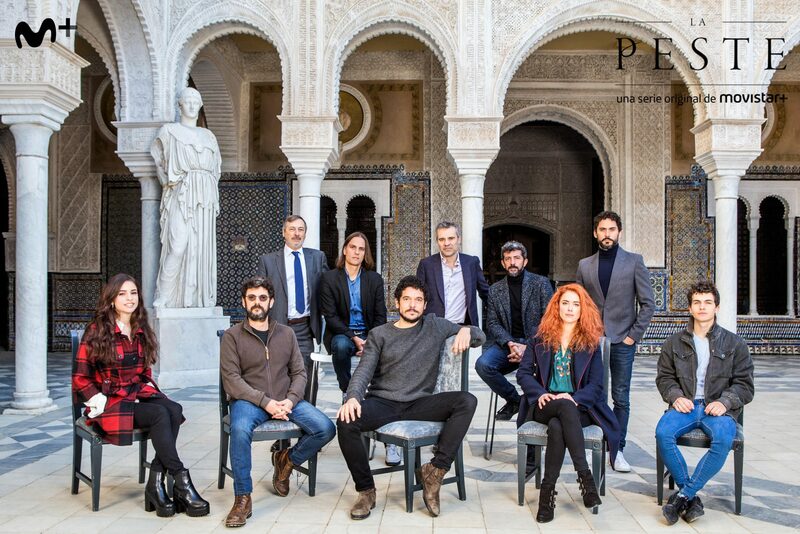 Telefónica is spending €10 million of its total 2017 content budget of €70 million on La Peste, a 6x50mins historical drama set in a Seville hit by the Bubonic Plague, with a storyline built around the murder of prominent members of the Inquisition, starring Pablo Molinero (Terrados, Exaneta), Paco León (Kiki, El Amor se Hace, Aída), Manolo Solo, (Marshland, B, La Película), Sergio Castellanos (Los Protegidos, Toledo) and Patricia López (El Guardián Invisible, La Herida). José Antonio Félez of Atípica Films is executive producer and Alberto Rodríguez (Marshland) is director. Telco Telefónica has committed to producing ten series in 2018. Corral, Movistar+’ original production director and a former Turner Europe programming chief, has said that four dramas will debut from September this year – La Zona, Vergüenza, La Peste and one other undisclosed title. La Zona is currently in pre-production while Vergüenza is in post-production. Another three titles, Félix, Gigantes and Carta al Padre are in pre-production while Dime Quién Soy – a flagship project unveiled last August – is still in script development.